Introducing the all new Louisiana College Wildcats logo for the 2011 season! 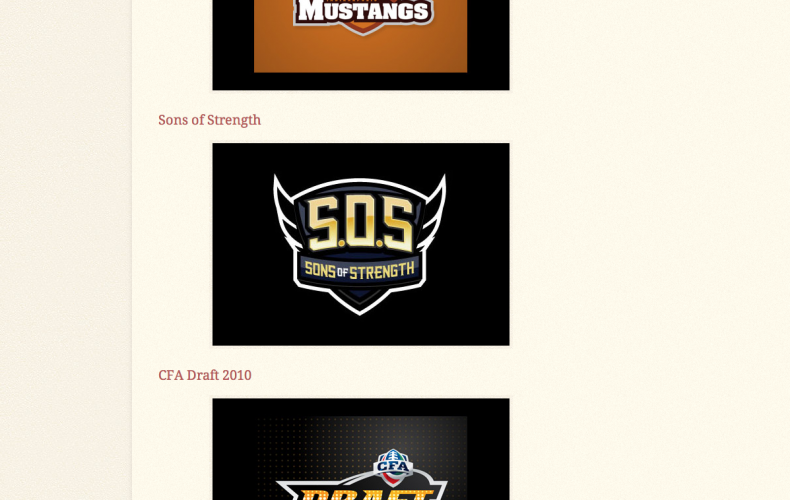 The concept behind the logo was very simple; create an identity and brand for the athletic department to distinguish itself from all other programs in the American Southwest Conference. 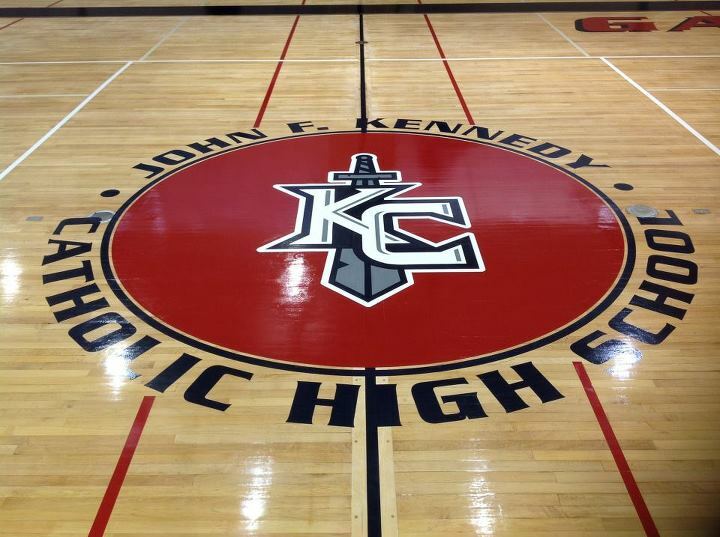 The logo was slowly introduced as part of the 2011 promotional materials for the fall sports, but in time the logo will be integrated fully as part of the school athletic identity. 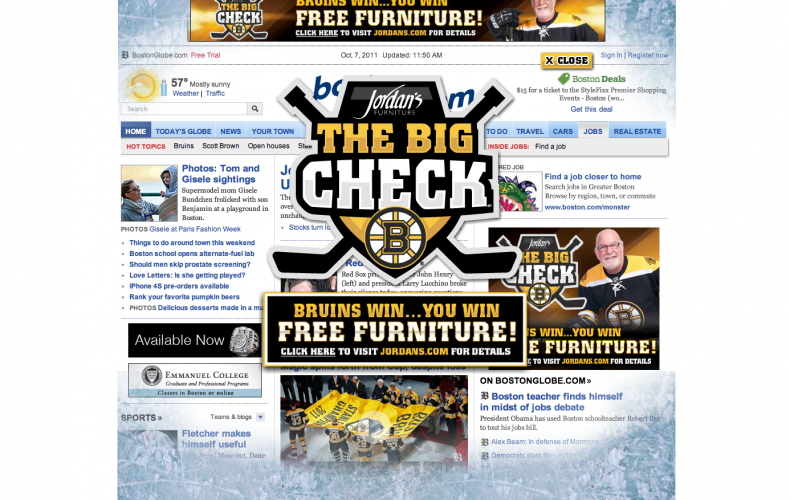 Jordan’s Furniture “The Big Check” Boston Bruins Promotion Launches with Our Logo! Walk Design was selected by Jackrabbit Design to help create a logo for Jordan’s Furniture in Boston. The logo is called “The Big Check” and it is for a promotion with the Boston Bruins that if anyone buys furniture from their store throughout the season and the Bruins win the Stanley Cup again, they get there furniture for free! It’s a really exciting promotion and we were honored to be apart of it. Living in the New England and having access to the Bruins it has been great to see how much publicity the campaign and logo has received so far. They even had a complete takeover of the Boston.com homepage to kickstart the campaign! Another great part of the campaign was wrapping a Zamboni (the popular ice resurfacer) with the logo and having it on the ice at the Boston Garden. 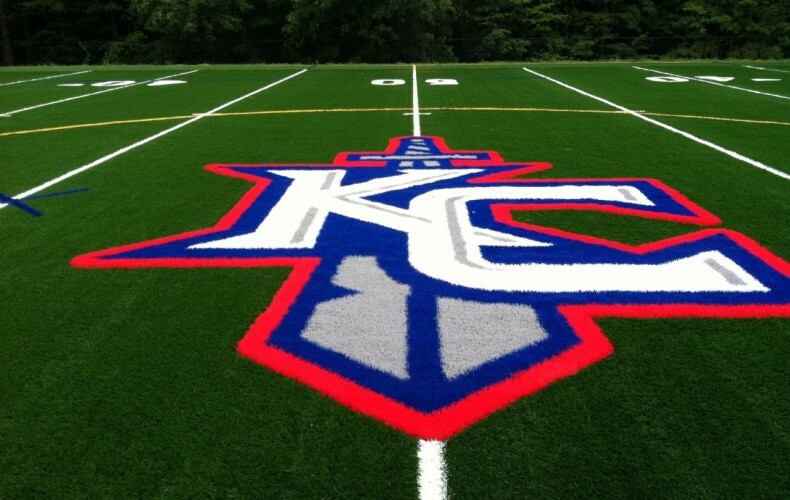 It was a really great milestone for Walk design today as Kennedy Catholic High School installed it’s new Field Turf field today with the logo we designed for them permanently fixed to the center of it. It is the first time one of our logos have been permanently attached to a building or a field like this so we are really excited. Recently our logos have become more Illustration driven, and it has been a breath of fresh air. In this case we were asked for a retro robot concept and we believe we came up with something that hit the request right on the head. 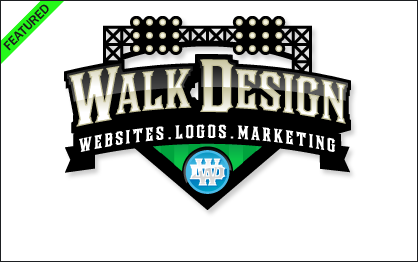 LogoPond.com which is widely know in the logo industry as being THE home of logo designers on the internet has selected Walk Design as it’s “Featured Showcase” designer. It is truly a honor to occupy this position. We have used Logo Pond for years as our inspiration for logos and it is one of our favorite sites hands down! To be in this position really feels great and we can’t thank them enough for the honor! In a nice surprise this week, Walk Design had 4 of the top 50 logos selected by WebExpedition18.com. It is a great honor to have these logos selected and this is the first time to our knowledge that we have ever appeared in a list like this. Check it out!